Eiszeit-Manager.de - Forum » Help » Draft bug! When the day started I logged in around noon (gmt+2) and went to draft to check it is on before I pay for scout. I then decided the fastest way to find scouts is to click on the binoculars and then it said I dont have scout level and had the link to scouts and I opened the scout tab and upgraded scouts. That's weird, I've tried to recreate it, but for me it shows the whole draft. In the lower leagues can be a delay with the calculation of the new season, did you see the complete draft class before you clicked on the binoculars? Or else, what almost always seems to work is pressing CTRL+F5, so it refreshes the site and clears the cache as well. I had quite a lot longer list in the draft before that. I think it was complete in length. I havent had that in earlier and I have done it the same way. And yeah I tried Ctrl F5 also but didnt help, forgot to mention it. What should I do with the draft now? I am most likely 4th in the league after the season which means 8th in draft. there are only 6 players to scout. How can I know if I can actually get anyone of these? And will there be a fix for this issue? It seems that it may be only for me that this shows. Just wanted to let you know that after day change I got the information on the players I scouted, but not more players appeared. Still only 6 players that I can draft. This can actually harm my team development as I have been improving my team through draft and scouting lot of players. Where should I post this information to get it to game developers attention? That's really weird, I've never seen something like that. Would be interesting to know, if the other managers in your league have the same problem. You posted it in the right place (Aktuelle Fehler), but if you want to be sure that he'll reply, contact him ingame as well, his manager name is "Brice". I have asked in the league chat in the division page but havent gotten answer, I will ask with message from all also. It seems to be only on me. 2 of my opponents have replied that they see the full list. Think that you posted in the really right thread over there. Hope you'll get satisfactory answer asap. 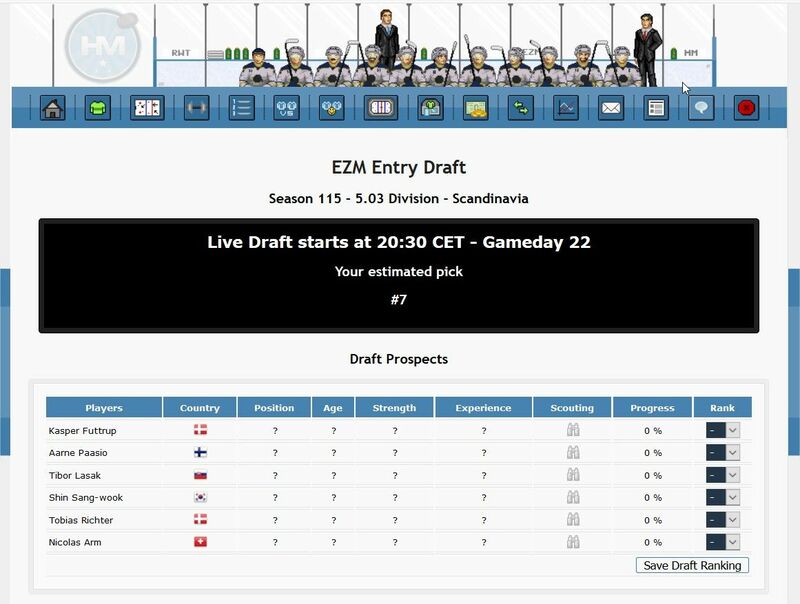 Now I can see all the players again and setup the scouting of the players! Hey, has the scouting time changed? Earlier it was on day change but today it hasnt done anythong? Yeah, it was delayed, Brice fixed it I guess.